Angus endurance racer Sandy Mitchell’s US debut delivered – literally – a baptism of fire in a rollercoaster weekend of emotions. 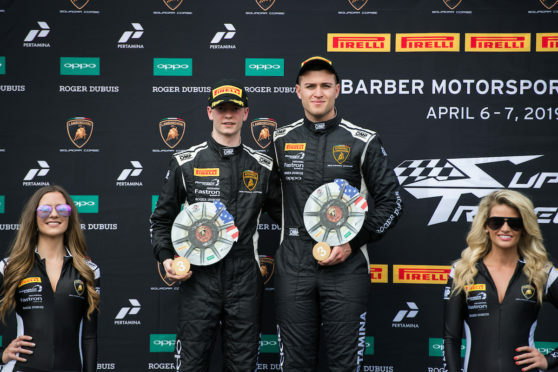 The Forfar 19-year-old from Forfar bagged a podium finish and pole position in his first outing of the Lamborghini Super Trofeo North American Championship at Alabama’s Barber Motorsports Park. 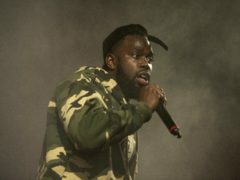 But his weekend ended with a miraculous high-speed save before he nursed his blazing 600 horsepower Lamborghini Huracan back to the pits before jumping clear of the burning sportscar. 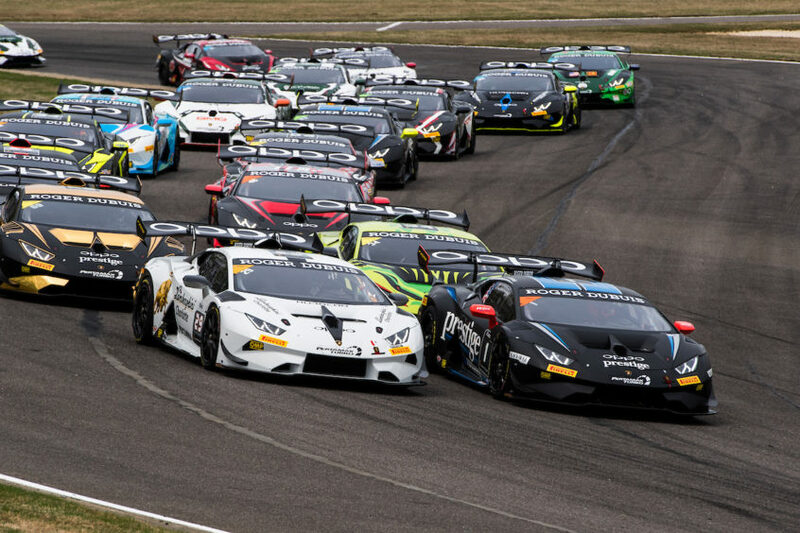 Partnered by Italian Andrea Amici, Mitchell and his teammate battled back from 11th to finish third in the opening race driving the No.1 Prestige Performance Huracán prepared by Wayne Taylor Racing. The pair had started from second on the grid but Amici was pitched onto the grass by another car, leaving them with lots of work to do in the 50-minute race. Mitchell was closing in on the leaders in the closing stages, but time just ran out for him. Starting the weekend’s second race from the number one grid position, the Courier country star led the field away before settling into a solid second place behind Lamborghini factory driver, Swede Dennis Lind. Five laps in and plunging downhill towards the tight left-hander, his Lamborghini speared left across the tight and twisty circuit. He kept the car out of the wall with split-second reactions and nursed the car home to the pitlane, all the time aware that flames were licking round the engine bay just inches behind his head. 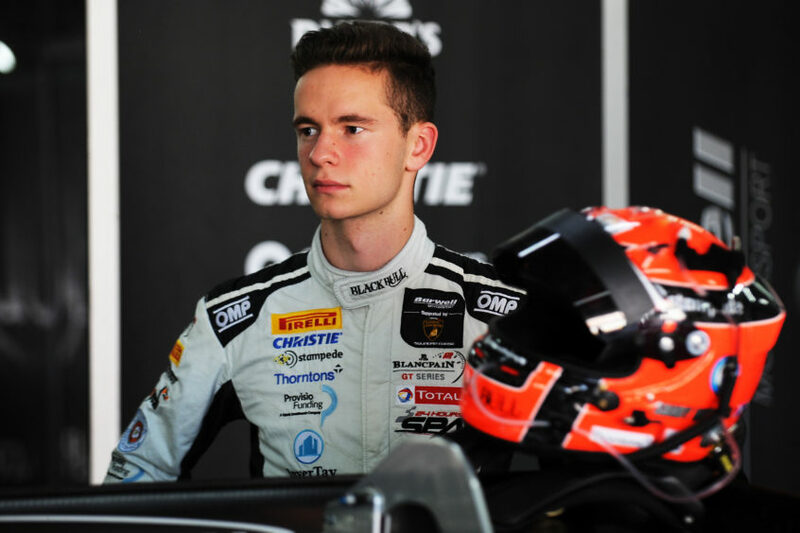 “I struggled in the braking zone of turn five a few laps into the race and unfortunately ended up taking a trip through the gravel,” said the teenager, who is part of the Lamborghini Squadra Corse GT3 junior programme and a member of the prestigious British Racing Drivers’ Club Rising Star scheme. “It was definitely disappointing, but it was a strong weekend overall, and the car and the team were brilliant all weekend. 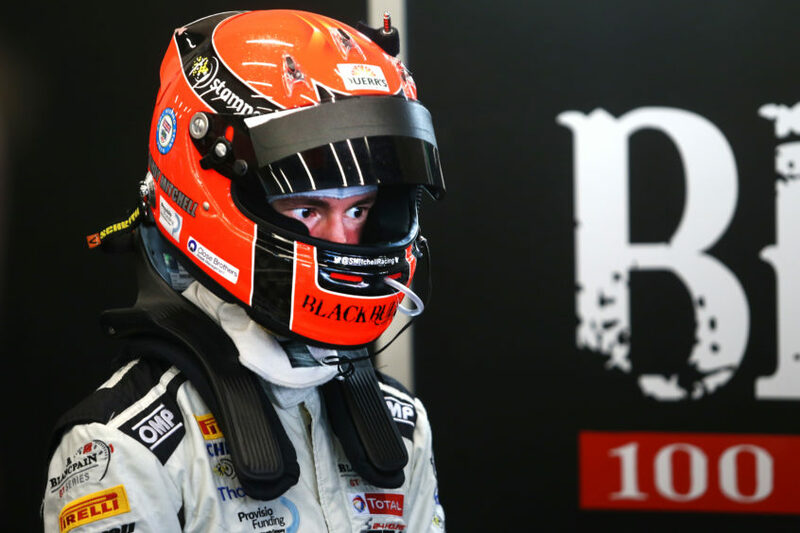 “I’m definitely concentrating on the positives, and already looking forward to the next round at Watkins Glen,” added Mitchell, whose attention now turns to this weekend’s opening round of the Blancpain Endurance Series at Monza in Italy where he will begin his second season behind the wheel of the Barwell Motorsport-prepared Black Bull Whisky Lamborghini Huracan.